Internal peer reviews are being conducted in secret, the media are claiming. Project Dragonfly, Google's search engine for the Chinese market is all but dead, according to fresh reports. The Intercept is saying that the project is currently undergoing a series of internal peer reviews, but unlike the usual practice where the majority of employees review each other's work, for Dragonfly only a handful of executives get to review it, all of which have previously been briefed on the project. Among the possible reasons as to why Google is keeping it a secret, the Intercept claims that employees would most likely scrutinise the project, leading to more controversy for an already controversial topic. Last we heard of project Dragonfly, which was in December last year, it seemed as the project was done for. 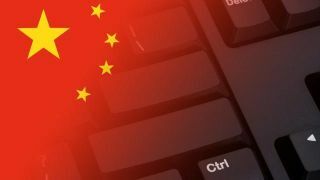 The killing blow was apparently dealt by the company’s privacy team by preventing developers from accessing essential data on how the Chinese use search engines. The devs were allegedly reassigned to other projects. Project Dragonfly was first heard of when employees voiced their opposition against it in August 2018. Back then, they said that they had been working on something, without even knowing what it was, and when it became apparent that they had been working on a search engine that could censor things like human rights, atheism, protests and similar topics, they demanded ‘a seat at the table’. Google CEO later said Dragonfly was just an experiment.